Are you planning to complete the Open Water course and become a certified diver while on your expedition? If so you have come to the right place. The required Opwall PADI Pack for your Open Water course is available as a physical or digital product. Details of both versions can be seen below. If you are already certified and interested in furthering your dive education by becoming an Advanced or Rescue diver then we have the required products ready for you. 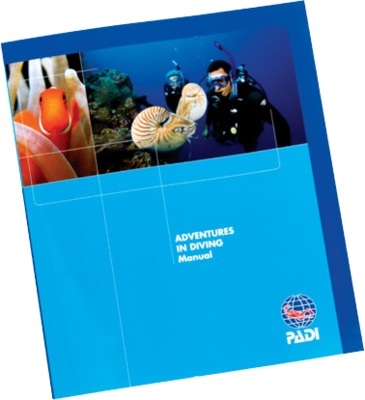 The Opwall physical PADI pack can be mailed worldwide from either of our two distribution warehouses (UK and USA). If you’d like to save on the shipping costs then check out the digital version of this product. You will need to make sure you have downloaded the Open Water Diver manual to your electronic device (PC, MAC, iOS, Android) before arriving on expedition. 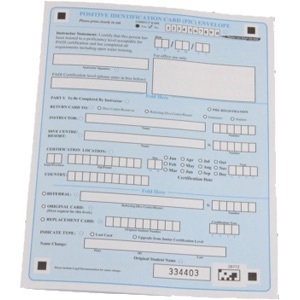 You will also need to print out the Knowledge Review pdf and the Diver’s Log Book pdf pages. This is the perfect option for those living outside of North America or Europe where shipping rates can be quite high. If you’d rather use physical materials then check out the physical version of this product. 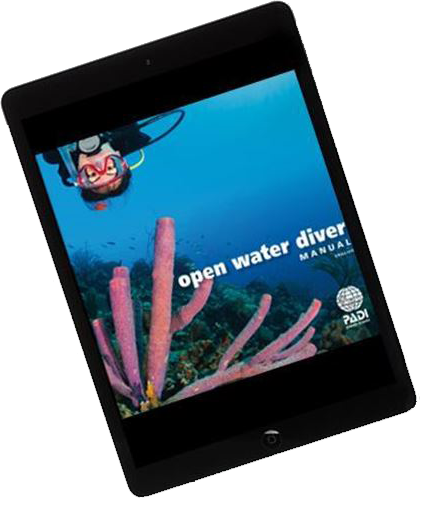 You will need to make sure you have downloaded the Open Water Diver manual to your electronic device through the PADI Library app (iOS, Android) before arriving on expedition. 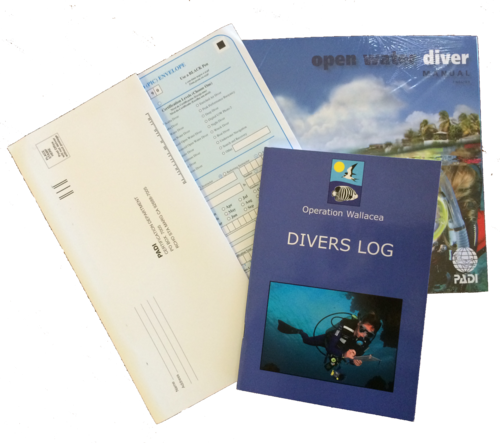 You will also need to print out the Knowledge Review pdf and the Diver’s Log Book pdf. Please NOTE: The electronic PIC is not visible and you should not expect to see any reference to it when you have activated your digital product. It is tied to the 12 character code you will be assigned and is maintained on the backend of the PADI database. Currently we are having to assign access codes manually as PADI are upgrading their Digital Platform. Please check your order confirmation email for further details. Once your information has been submitted expect an email from PADI with further instructions on activating and using your digital product. 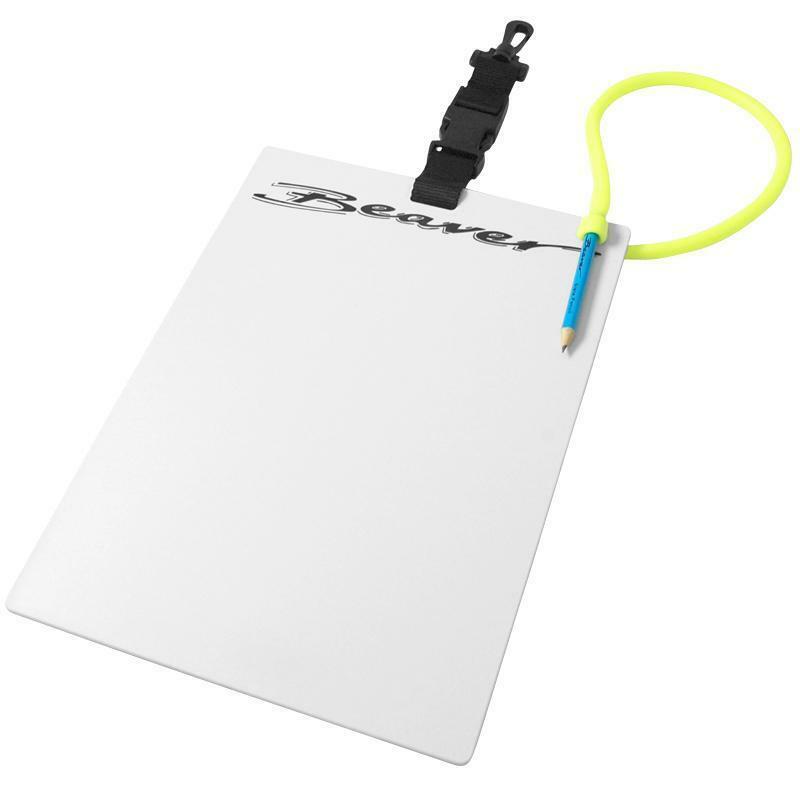 This large, double sided, A4/Letter sized slate comes with precision tipped dive pencil on flexible elastic cord for ease of use underwater. Plenty of room for underwater communication and/or data collection. If you are a research assistant or dissertation student then this will probably be the most utilized piece of equipment you'll own. Second will be the double ended bolt snap. Please note actual product may vary slightly from photo. 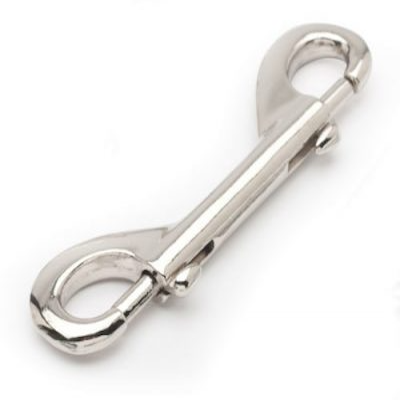 These stainless steel double ended bolt snaps have a multitude of uses and are a must for any dissertation student or research scientist/assistant. 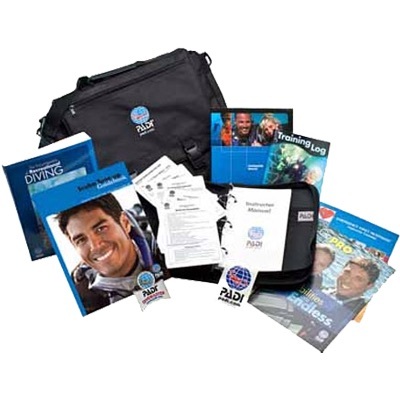 The PADI PIC Envelope is used by PADI to process your certification. 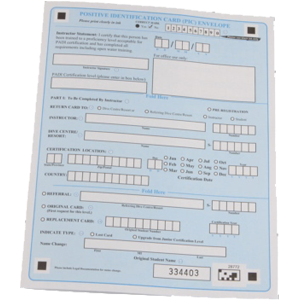 If you are intending on doing additional PADI courses while on expedition you will need more of these PIC envelopes to allow PADI to process your certification. The diver's logbook is used to record and keep track of not only training dives but all dives that you do. 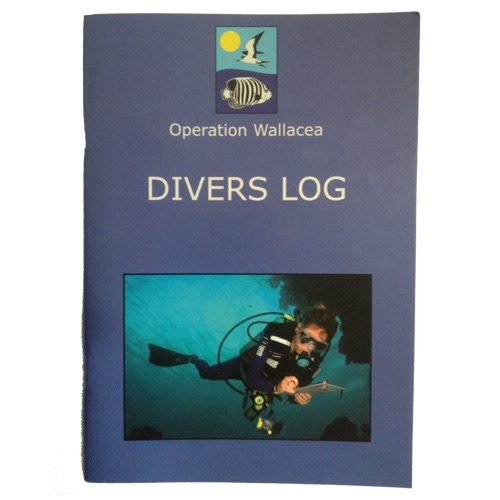 This Operation Wallacea branded diver's log book has 14 pages and space for logging 50 dives. 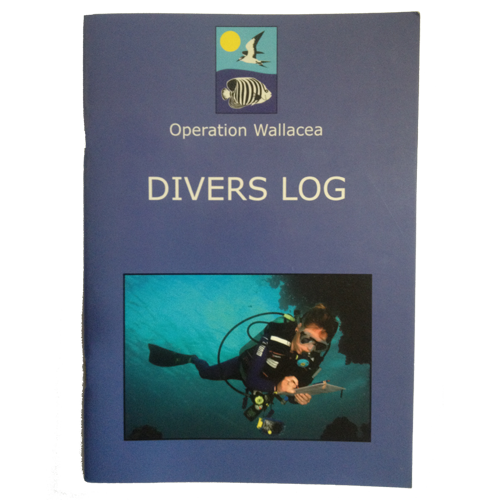 If you are taking part in an extended expedition you may consider purchasing multiple log books so you can record and log all your dives. Take advantage of all the diving opportunities you have while on your expedition. If you are taking part in the Reef Ecology course then you will find the PADI Advanced Open Water course can be run in conjunction. Become a more comfortable and confident diver. The Advanced Open Water pack is available as a physical or digital product and contains all the required materials as well as the certification PIC. If you choose the digital version you will need to print off the knowledge review and also redeem your license key so you can download the student manual through the PADI app. Unfold the mystery of the sea and expand your knowledge and experience beyond the basics! Get into the PADI Rescue Diver Course and challenge yourself to the limits while having a sense of fulfillment. Take the PADI Rescue Diver Manual with the course and be prepared to have the most demanding yet gratifying course you’ll ever have. The manual covers knowledge reviews on self-rescue, recognition and management of stress in other divers, emergency management and equipment, and many more. You will have to complete these reviews in the manual, which comes with the Diving Accident Management Work Slate. Excited to learn how to prevent and handle emergencies in the water? Work on your knowledge and confidence as you hone crucial skills. 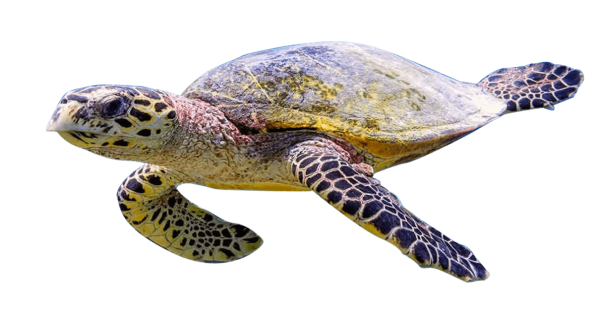 Helping others while being in the wonderful sea world has never been this great! Want to be always prepared whenever emergencies arise? Then enroll yourself in the Emergency First Response training! It’s a great training that teaches lifesaving skills and it is not just for divers but for everyone as well! The training is centered on developing confidence in lay rescuers so that they can respond to medical emergencies. 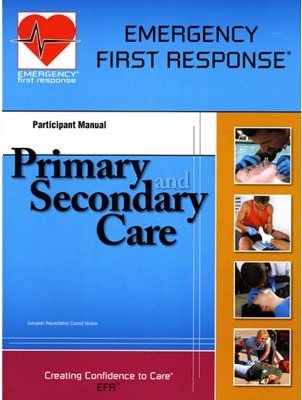 The EFR Primary and Secondary Care Participant Manual is the best supplement for this course. In these pages, you will learn easy-to-follow steps for emergency care and use the skills in a non-stressful learning environment. With Primary Care, you’ll be trained and will learn eight skills that are needed in dealing with life-threatening emergencies. With Secondary Care, you will know how to determine a variety of injuries and illnesses. 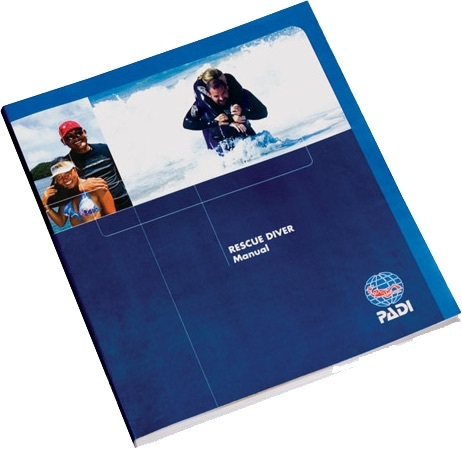 The manual will definitely help you not just with your dive training but also for emergencies everywhere. Remember that it’s essential to be always ready! As you build up your dive knowledge and skills, the PADI Divemaster Crew-Pak will be your best friend aside from your PADI instructor. You’re one step closer to this exciting dream profession and diving adventures can’t wait to embrace you!